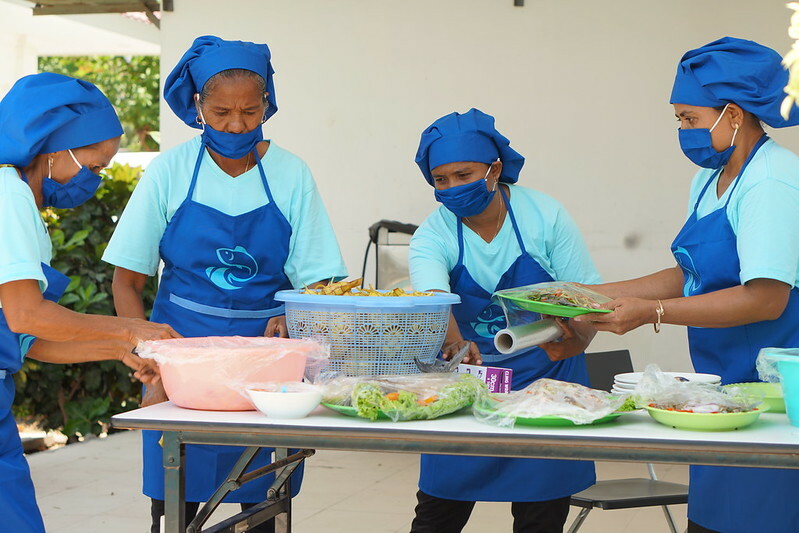 Efforts to support Timorese women fishers to participate in decisions about small-scale fisheries, including through the landmark Women Fishers’ Forum, are showing promise. Fisher Joana da Costa said that initially the women in Adara did not understand tara bandu. “Us women attended the community meeting that WorldFish ran, and with the support of WorldFish we created a separate group to the men so that we could make our own decisions.” This was the first time this had ever happened. “After much discussion, us women agreed to the idea,” she said, referring to the creation of a new protected area for tourism and local rules for fishing. She said that women are now involved in all meetings related to fishery management. Women also manage the collection of a ‘reef contribution’ from tourists when they snorkel or dive in the protected area. “The reef contribution funds are being saved to support the building of a primary school to benefit all community members,” added Mario Gomez, WorldFish field technician and Adara community member. 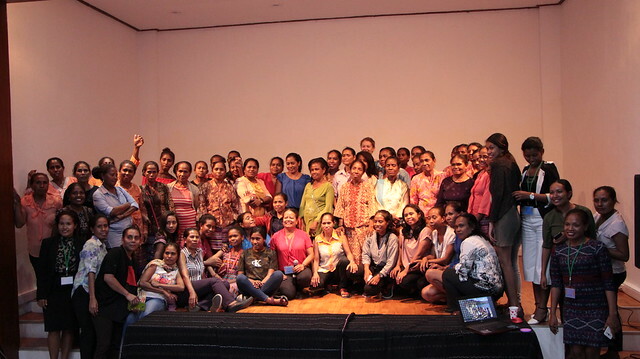 This powerful story was told by Da Costa, one of a number of speakers, to the 100 guests attending the first Women Fishers’ Forum (WFF) held on 15 October 2018 in the capital Dili. The event helped to encourage women fishers, who have long had less engagement and voice in decision-making in small-scale fisheries governance and management than men. The overall aim of the WFF was for participants to develop consensus statements about women’s fishing, which the women fishers would present at the first National Fishers’ Forum the following day. “The women were so excited and so inspired. This was the first time they’d all come together at a national level,” said Agustinha Duarte, a research analyst at WorldFish and lead facilitator of the WFF. The forum was organized by WorldFish and supported by the Norwegian Embassy in Jakarta, the Asian Development Bank and FISH. Attendees included 60 women fishers from ten of 13 municipalities, the Secretary of State of Equity and Inclusion and partner representatives including from Plan International, Blue Ventures and Empreza Di’ak. The WFF, said Duarte, had a noticeable impact on women’s participation in the national forum. These efforts to support women to participate in policy discussions are critical for realizing Timor-Leste’s vision for gender equality, as outlined in the government’s landmark Maubisse Declaration, released in 2015. Studies show that women in Timor-Leste undertake more than half of all agricultural work, but their role is often undervalued or overlooked, and they have less access to resources and opportunities than men. In small-scale fisheries specifically, women are consistently underrepresented in statistics and policy. As highlighted in the FISH Gender Strategy, this reduces the effectiveness of management actions, perpetuates inequities in the opportunities small-scale fisheries offer and hinders the achievements of food and nutrition security outcomes. 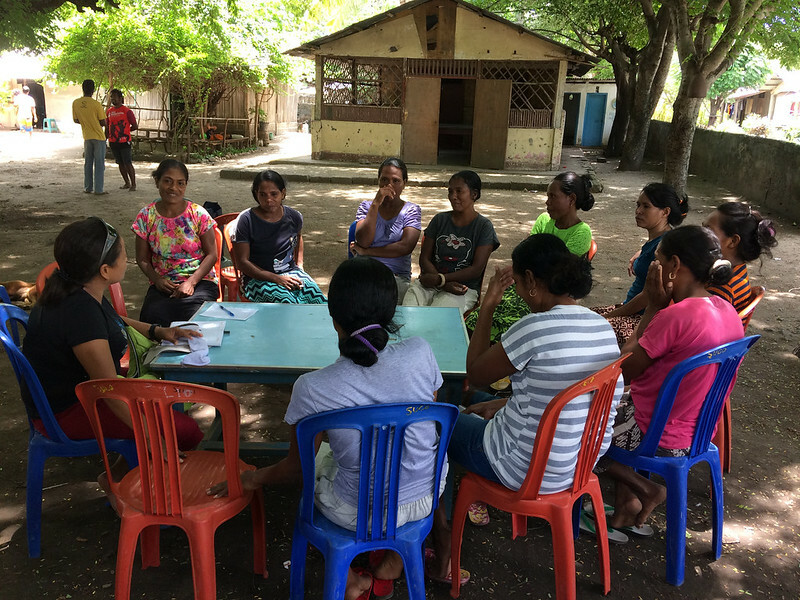 Since 2015, a number of projects led by WorldFish in close collaboration with the Directorate General of Fisheries have highlighted the importance of women’s fishing and fishing livelihoods in Timor-Leste, and have worked with women and men to improve equitable representation in decision-making. For example, in the village of Illilai on the north-eastern coast, WorldFish has supported the women’s idea of starting a fish restaurant on the side of the road. In Beacou, closer to the capital, WorldFish is working with women to develop and market fish-based products. These products are sold at supermarkets in Dili and through local distribution networks. These activities show that fish-based livelihoods offer economic opportunities for rural women. Building on the momentum from the WFF, Duarte now wants to help women fishers stay connected with one another. “My dream for the future is to create a national network between women fishers, the government, policymakers and NGOs,” she said.